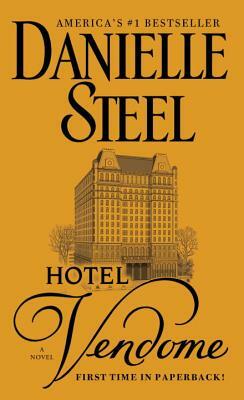 Danielle Steel's dazzling new novel invites readers into the ultra-glamorous world of a five-star New York hotel, and brings to vivid life the man who builds it as his dream, the girl who grows up in its loving embrace, and the colorful guests and staff who make its magic complete. The hotel was old, run-down. But to Swiss-born Hugues Martin, a young, ambitious hotelier trained in the most illustrious European traditions, it is a rough diamond, tucked away on a quiet, perfectly situated Manhattan street. After begging and borrowing every penny he can scrape together, Hugues purchases the building -- and transforms it into one of the world's finest luxury hotels. Under Hugues's tireless, exacting supervision, the Hotel Vendôme is soon renowned for its elegance, its efficiency, its unparalleled service and discretion -- the ideal New York refuge for the rich and famous, as well as a perfect home for Hugues's beautiful young wife and their daughter. But when his wife runs off with a notorious rock star, Hugues is suddenly a single parent to four-year-old Heloise -- who will grow up happily regardless, amid a fascinating milieu of celebrities, socialites, politicians, world travelers, and the countless hotel employees who all adore her. As the years pass, Hugues and the hotel are the center of Heloise's life, a universe of unexpected mysteries and pleasures, crises and celebrations that make every day magical. She longs to follow in her father's footsteps and one day run the Vendôme with him. New challenges mark her way: an unexpected romance for Hugues and her own journey to hotel school in Switzerland. The lessons she has learned at her father's side, in their exciting upstairs/downstairs world, will carry her through it all, as they illuminate a story no reader will forget.